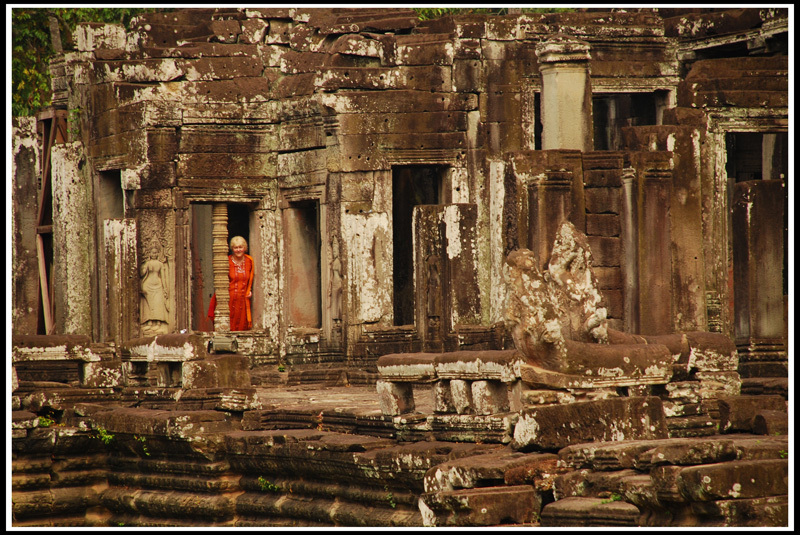 This lady was exploring the Bayon temple at Angkor Thom. These structures were built over 800 years ago, and with a little bit of imagination, walking around in them can give the magical feeling of going back in time. Most tourists, unfortunately, seem to be content with just seeing a few of the main sculptures of artwork and moving on to the rest of the complex.